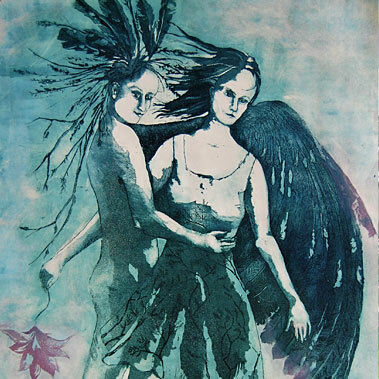 Antonia O’Mahony is a New Plymouth artist who works mainly in the traditional medium of etching. For this exhibition she has created a series of work based on the divinatory rhyme, Counting Crows. 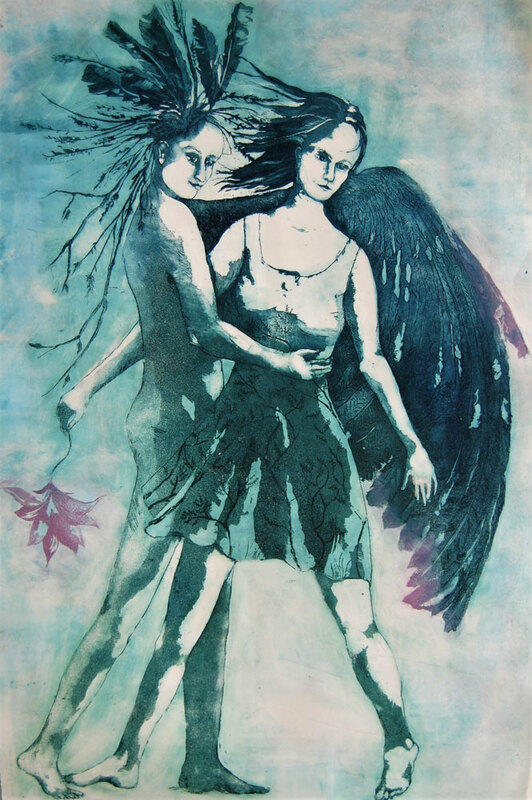 She mostly uses etching in this work as it is reminiscent of a bygone era when the art of illustrating a book or verse with original artist’s drawings resulted in a beautiful object to be enjoyed with all our senses. Etching involves the making of a metal matrix by drawing and acid biting the image into the surface. 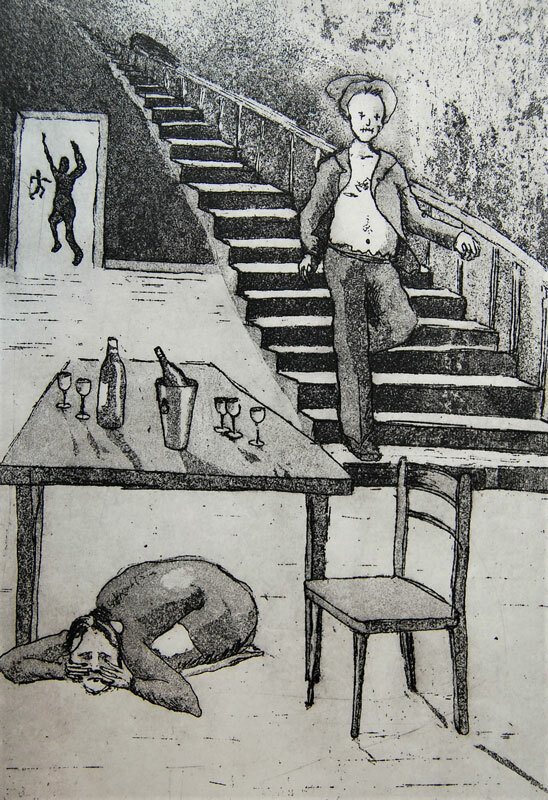 The tonal range is then achieved by a series of aquatints, in which parts of the plate are blocked out progressively and immersed in the acid to give the surface a texture of varying depths. The texture and line hold ink which is then released onto the paper when it is rolled with the metal plate through a hand press at high pressure. Because of the slow and labourious process of the art, edition numbers are very low, typically ten or twenty, and variations are often inherent in each work. Genuine etching prints are identifiable by several means, one of the most obvious is the embossing of the paper from the plate. Originally from New Plymouth, Antonia left to travel and work in 1988 before settling in Ireland and raising a family. 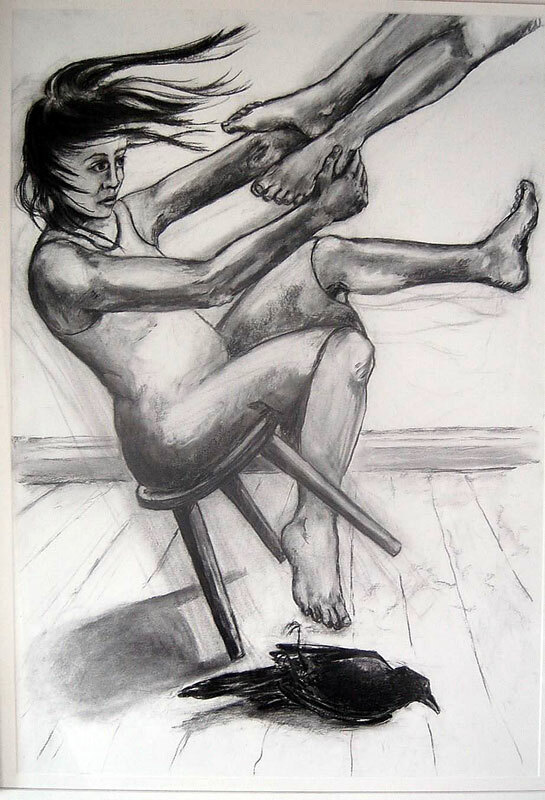 It was during this time that she started formal arts study and eventually became a member of a professional studio for artist printmakers in Cork City. 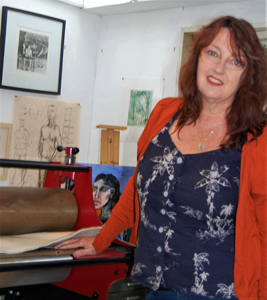 She has exhibited widely and has work in public and private collections including the Office of Public Works in Dublin. The many colourful characters she met while backpacking and working her way through Europe, Middle East, Latin America and North America when she was young often inspire the stories in her work. During those years of travelling light she carried notebooks for drawing and collecting stories about our wonderful, colourful and strange world. Her curiosity for everything also makes her a restless maker and explorer of many media and she is currently working towards a Master of Fine Arts in which she has been experimenting with etchings as stop motion film. See more of Antonia’s work on her Facebook page.